is located in Detroit, MI and was completed in 1977. 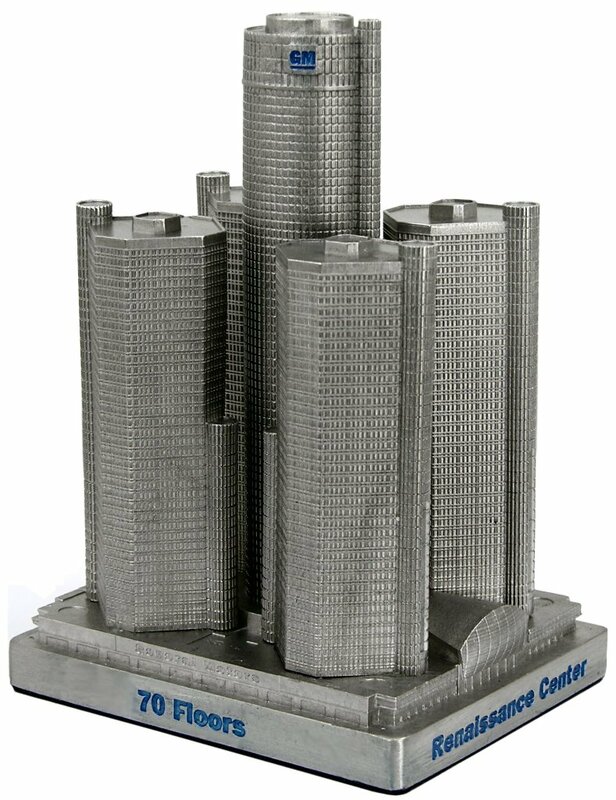 This building was designed by John Portman and Skidmore, Owings & Merril and stands 727 feet tall with 70 floors. The RenCen is the tallest building in Michigan and the world headquarters of General Motors. This pewter replica stands 5-1/4 inches tall and is finished in new pewter with blue highlights. This model’s scale is 1 inch = 150 feet.